OEM and ODM are Any display stand ,acrylic/ plastic products,we would like do for you. 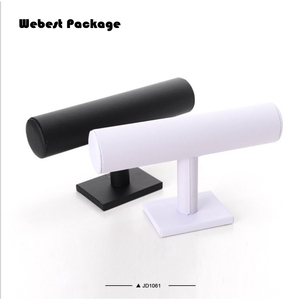 A display stand is an advertising tool that has a direct impact on your products sales. Any display stand,acrylic or plastic products,we would like do for you. We can custom your logo on the products ,if your quantity can reach to our MOQ ,we can print your logo for free . Q4,what is your sample fee policy 9 If we have the sample in stock ,you can pay a little sample fee which is a retail price less than 10 USD usually. any way ,all of the sample fee will be returned back when u confirmed the bulk order . 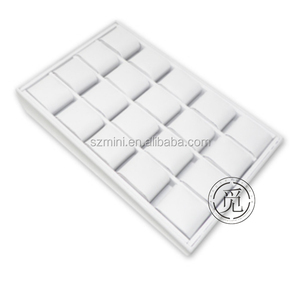 3 YRS Shenzhen Mini Jewelry Packaging Co., Ltd.
3. 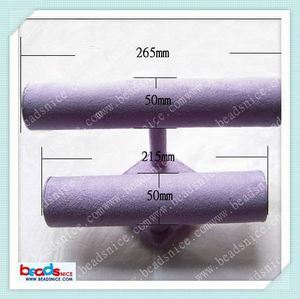 We have a good various of size and color to witness customers need. ; 6. Good service and high quality can ensure us to establish long-term trade relationship with customer. We have advanced machine from Japan, so the quality is assuring; we also have every color and material to witness customers demand. 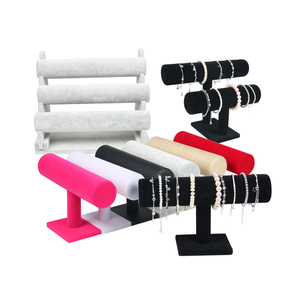 67021 67022 Velvet Jewelry One Tier T-Bar Bracelet Bangle Jewelry Display Stand 9"
WE OFFER PERFECT JEWELRY DISPLAYS, JEWELRY STANDS, ETC. IN DIFFERENT SIZES, COLORS. 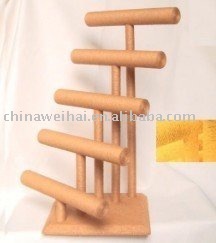 1.ITEM NO: WL-B001 2.SPECIFICATION: standard 2 layer bracelet display stand 3.Material: VELVET 4. PACKING: polybag packing, 30pcs /CTN carton dimension: 50*40*40cm G.W: 17kgs N.
Please contact us to get a free design help for your sign. Q: What shapes you can do for the acrylic9 A: we can do any shapes by CNC Laser machine. If you need the signs urgently , please contact us for the help. 4 YRS Shenzhen Jermyn Packaging & Ornaments Co., Ltd.
What Applications of our jewelry display product9 1. jewelry collect or display. We can help you print or emboss your logo, produce as your size and shape. 5.Q:How does your factory do regarding quality control9 A: Quality is priority. 2 YRS Hangzhou Yi Jiang Trading Co., Ltd.
3 YRS Shenzhen Zhongyue Acrylic Products Co., Ltd.
1 YRS Guangzhou Digu Industrial Co., Ltd.
4 YRS Shenzhen Jinsky Show & Packing Co., Ltd.
Alibaba.com offers 21,802 bracelet display products. About 17% of these are jewelry packaging & display, 9% are display racks, and 1% are lcd modules. 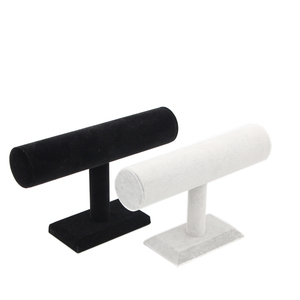 A wide variety of bracelet display options are available to you, such as wood, acrylic, and metal. You can also choose from free samples, paid samples. 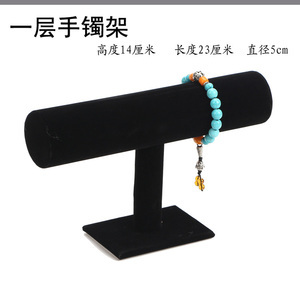 There are 21,802 bracelet display suppliers, mainly located in Asia. 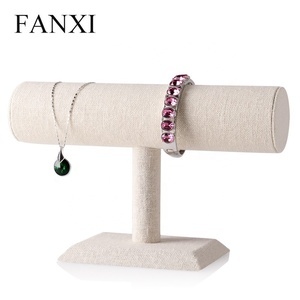 The top supplying country is China (Mainland), which supply 100% of bracelet display respectively. 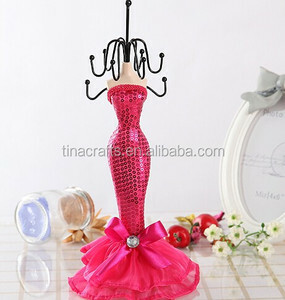 Bracelet display products are most popular in North America, Western Europe, and South America. You can ensure product safety by selecting from certified suppliers, including 3,166 with ISO9001, 2,360 with Other, and 384 with ISO14001 certification.